How do you tell a true story? It seems like an easy question to answer: the events are all laid out for you, because they all really happened. It can’t be that hard, can it? It turns out that some people are better at telling true stories than others. One of the best is Jack Hart, who was for many years a managing editor and writing coach at The Oregonian. 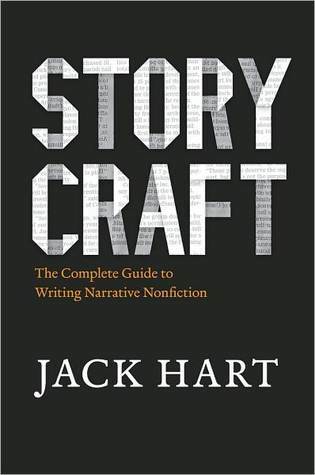 In Storycraft: The Complete Guide to Writing Narrative Nonfiction, he has written a how-to guide for anyone who wonders how to tell a true story, from journalists looking to put together a news feature to writers who aspire to be the next Erik Larson (of The Devil in the White City fame). Hart devotes chapters to various aspects of nonfiction storytelling: how to structure a story, how to choose points of view, how to write dialogue, how to settle on a theme, and more. He sprinkles each chapter liberally with examples, mostly from stories written during his tenure at The Oregonian. As one would expect from someone who has written a book about how to tell interesting stories, he keeps the reader’s attention throughout. And he teaches by example: his chapter on explanatory narratives, for instance, is structured in the form of an explanatory narrative. On one level, this book isn’t intended for everyone. The primary audience is journalists who are looking for more depth than they find in typical news stories, and other writers who are wondering how to tell a true tale in an engaging way. On a deeper level, though, narrative nonfiction is all about making sense of the world as we experience it, and sharing the lessons with others. In that sense, this book really is for all people who want to understand the depth and breadth of human experience and tell others what they’ve learned.